Windshield wipers are easy to mistreat in the winter. If you suspect your Nissan windshield wipers aren’t doing the job they should, get quick help from the experts at your Speedcraft Nissan dealer in West Warwick. Windshield wiper blades that are specially designed for the rigors of winter will hold up better than others, but running them over ice and snow can damage them. Using sturdy wipers and treating them well will give you crystal-clear visibility. Like all other components on your Nissan, the windshield wipers are of the highest quality. Is it time to replace your Nissan windshield wipers? The recommended timeline is every six months to a year, though at Speedcraft Nissan, our rule of thumb is to replace them when they are no longer provide clear visibility or when you see that sad, trailing piece of rubber hanging from your windshield wipers. Cracks – Is the rubber one smooth piece or is it cracked, split or broken off in places? If you see any imperfections in the rubber, that means it’s time for new wiper blades. Streaks – If you notice a consistent film on your windshield, even after you’ve sprayed fluid to clean it off and wiped the blades with a paper towel, that’s another sign your wipers need to be replaced. Noise – If your wipers make that awful chattering sound when they drag across the glass, it means they’re only in contact with the windshield some of the time, and they need to go. Bent Metal – Rough treatment during ice removal and car washes can damage the metal part of the wipers. If the metal is damaged, contact with the windshield will be impaired. Time to replace! 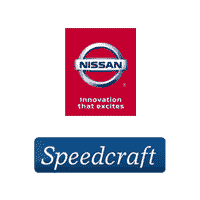 Taking your car to Speedcraft Nissan can save you time and money. Check out these great car service and maintenance coupons. Also, there’s no need for an appointment to change your windshield wiper blades and many other services. You’ll be in and out in under an hour. Check out these services offered by our Express Service. If you’d rather schedule an appointment, you can do so online. is the place to go if you’re looking for a high quality oil change with high quality service. Avoid the hassle of measuring your wipers, looking up the correct size (and then having to exchange them when they turn out to be incorrect). And make your wiper blades last longer by keeping your windshield clean, clearing the wiper blades of debris and using a scraper – not your wipers – to clear ice and snow. Speedcraft Nissan technicians are trained for your car. It’s just as quick and cost-effective as other options. Conveniently located off Exit 8 on Route 95, near Providence, a little peace of mind will make a trip to Speedcraft Nissan well worth it. 0 comment(s) so far on How Often Should I Change My Nissan Windshield Wipers?